NAZARETH - TATTOOED ON MY BRAIN VINYL (2LP BLACK) | Online Shop | Wizard LTD. 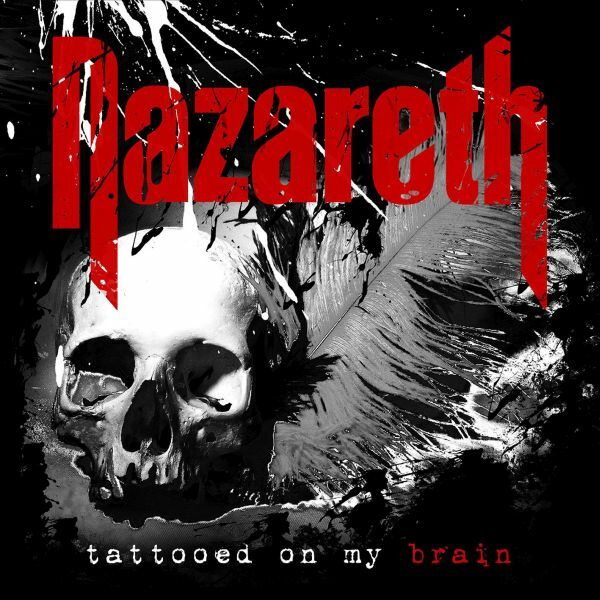 Album: "TATTOOED ON MY BRAIN VINYL (2LP BLACK)"
It is difficult to sum up in few words the history and influence in the history of rock music that an act like Nazareth has had. Celebrating their 50th Anniversary this year, the release of their brand new album, “Tattooed On My Brain” is their 24th full-length studio release. It is also the beginning of a new chapter a sit is the first one to feature new vocalist Carl Sentance (ex-Persian Risk, Don Airey). In 2014, original singer Dan McCafferty had to leave the band for health reasons and with his blessing, Sentance is now fronting the legendary band who are rejuvenated and back with a stunning new album that has all the ingredients that make this band so great in the first place. The current line-up of the band consists of Jimmy Murrison (longest serving guitarist in the band’s history), Lee Agnew (drummer since Darrel Sweet’s death in 1999), Pete Agnew (founding member, on bass) and new singer Carl Sentence. Nazareth originally formed in Dumferline, Scotland in 1968, releasing their eponymous debut album in 1971. The band broke big when, after supporting Deep Purple on tour, they released the Roger Glover-produced “Razamanaz” album in early 1973 to critical and fan acclaim. They then released an impeccable string of hit records, including “Loud &apos;N’ Proud”, “Rampant”, and the smash hit "Hair of the Dog", which was released in April 1975. The album included evergreen songs such as the title track (later covered by Guns N’Roses on their “The Spaghetti Incident?” album) and “Love Hurts”. The band has continued to release albums and tour the globe since and now prepares to embark on their 50th Anniversary Tour and release their new studio album, “Tattooed On My Brain”! Get ready for a very welcomed return from Nazareth! "IRON MAIDEN VINYL (LP BLACK)"
"IV NEW REMASTERED VINYL (LP)"